Exit after Mayawati nixed alliance with Congress in MP. Bengaluru: The fractious Congress-Janata Dal (S) coalition government in the state,faced its first major setback, one which could well wreck JD (S) patriarch H.D. Deve Gowda's plans to knit a grand alliance of Opposition parties ahead of next year's Lok Sabha polls, with the lone BSP face, primary and secondary education minister N Mahesh, quitting the coalition ministry on Thursday. 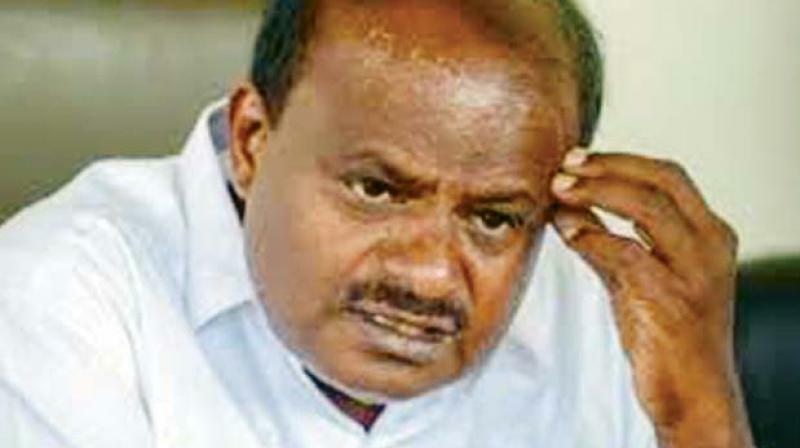 Mr Mahesh's resignation letter to Chief Minister H D Kumaraswamy which he reiterated to the media said he was stepping down of his own volition and for personal reasons although senior ministers were certain that his move was at the behest of BSP president Mayawati. “Why will anyone give up a minister's post for personal reasons when so many aspirants are waiting to join the cabinet,” queried one of them. However, the first hint that his party could sever ties with JD (S) and Congress came when he spoke of the need to focus on his constituency, Kollegal, and strengthen the support base of BSP ahead of Lok Sabha elections in 2019. His decision to quit the ministry coming days after Ms Mayawati ruled out an alliance with Congress in Madhya Pradesh and Rajasthan was also significant. Mr Mahesh was the sole BSP candidate to be elected to the Assembly after his party leader forged a pre-poll seat-sharing agreement with JD (S) for Assembly elections in May 2018. He, however, was in the eye of a controversy for sparring with Chamarajanagar district in charge minister, Puttaranga Shetty, of Congress party. Mr Mahesh even attacked the Congress and compared the party to a weed and held the party and BJP responsible for the economic and social inequality in the country. Mr Puttaranga Shetty had retorted wondering “Who is he to root out Congress? He has just entered public life. Let him work and complete five years. Then we can talk. If at all he made a statement about Congress, then I have to say, he will soon be dethroned.” Mr. Mahesh's resignation comes at a time when the coalition partners were scouting for candidates to contest bypolls to three Lok Sabha and two Assembly constituencies.